Halo brand cat food is owned and marketed by Halo Pets, Inc. The Halo Pet company was first founded by Andi Brown, who had a pet cat that was experiencing significant health problems. The cat's name was “Spot”, and Spot became a “mascot” for the Halo Pet company. Indeed, one of Halo's signature formulas is is called “Spot's Stew”, and is available in several different flavor variations. Andi Brown and Spot provided the inspiration for the company, and it has continued to grow over many years of operation. As a matter of fact, celebrity Ellen DeGeneres None of Halo's pet food products were involved in the 2007 pet food recalls, for which Halo Pets received a lot of positive press. Halo brand cat food is available in several different canned flavor variations, as well as four different dry cat food formulas. Halo's dry cat food formulas are available in a 3lb bag and a 6lb bag. One of the formulas, which is the Sensitive Cat – Wholesome Turkey formula, is available in a 1lb trial size bag. The 1lb trial-size bag usually retails for about $4.29 to $5.99. The 3lb bag usually retails from $9.99 to $17.99, and the 6lb bag usually retails from $19.99 to $27.99. Halo's Indoor Cat Food – Wholesome Chicken dry cat food formula is designed for indoor cats with special nutritional needs. This formula helps to prevent the accumulation of hair in a cat's stomach, and does not include corn, wheat or gluten ingredients. The first five ingredients are Chicken, Pea Protein, Eggs, Oats and Vegetable Broth. The Guaranteed Analysis of this formula includes 33% protein and 18% fat. Halo's Indoor Cat Food – Wild Salmon dry cat food formula is also designed for the specific nutritional needs of indoor cats. Three of the first five ingredients are protein-based. Other ingredients include Pea Fiber, Sweet Potatoes, Apples and Green Beans. The Guaranteed Analysis of this formula includes 33% protein and 18% fat. Halo's Sensitive Cat Food – Wholesome Turkey dry cat food formula is able to be fed to cats that are in all life stages. This formula is designed to supplement a cat's digestive system and skin health. The first five ingredients are Turkey, Pea Protein, Eggs, Oats and Barley. Other ingredients include Salmon, Turkey Liver, Cranberries and Zucchini. The Guaranteed Analysis of this formula includes 32% protein and 16% fat. Halo's Sensitive Cat Food– Seafood Medley dry cat food formula is also designed for cats with sensitive digestive systems. Four of the first five ingredients are protein-based, with other ingredients including Apples, Blueberries, Taurine and Alfalfa. The Guaranteed Analysis of this formula includes 32% protein and 16% fat. 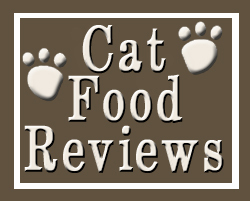 Customer opinion of Halo's dry cat food products is mostly positive. The lack of filler ingredients was an important selling point for many consumers, as was the lack of corn and wheat ingredients. The only possible negative aspect of the product seems to be that some cats do not care for the taste of some Halo dry cat food formulas. However, as each of Halo's two formulas (Indoor Cat and Sensitive Cat) are available in two different flavors, this seems to find favorable versatility with many cat owners. when I gave the first feeding she gobbled it up and demanded more! I think there is a good chance she will gain since she’s eating double what she ate of the last brand I tried Canidae (Felidae Salmon). Our cats were vomiting up Science Diet so I made an educated guess that they were sensitive to all the corn that Hills puts in their cat foods. Our guys will eat Halo because they have no choice, but they’re definitely not too wild about it. One of the cats developed extremely loose stools about a week after switching them totally over to Halo. I’m now looking for something else to feed them. My kitty absolutely loves the wholesome chicken recipe. I had a hard time finding a food that she could keep down, as well as enjoy. Now , she’s pretty excited for feeding and has become as playful and as active as she was when she was a kitten, in addition her thick coat is softer and shiny. I mix Halo with Acana and Core Wellness. Our cats seem to prefer the mix more than they prefer the Halo on its own. Lucy: You might like Feline Caviar. This is also all natural food. Our cat did have a vomiting problem but hasn’t thrown up this food. I’ve not tried Halo yet. In response to the comment about Feline Caviar, corn is one of the ingredients in that food which is not good for cats. It is merely a cheap filler and adds absolutely no nutritional value. Best to stay as grain free as possible! Halo is great! My 9 year old Cat has only been eating it for a few weeks and already her fur is shinier and healthier. Her eyes are clearer and her breath is fresh now. I HIGHLY recommend Halo as we have tried many other high end holistic cat foods. Halo is the best! My picky eater is loving Halo’s Spot Stew for cats. I have two cats and they both gobble it up. The do not like the other flavors only the chicken. Thanks! My poor Buckminster (17 months) had developed some skin irritation and was constantly chewing, licking, and biting at his legs and his stomach. I’d taken him to the vet a few times, and the tests were always negative for anything fungal and whatnot. We decided it must be a food allergy, and my vet suggested to find something that had no chicken, since that’s the main protein that has been in his foods (Purina), and also no corn. After an hour of looking through ingredients at a good local pet food store, I found the Turkey/Pea halo kibble. He and his brother Arthur wouldn’t touch it the first day, but would nibble just enough to not starve. After a few days, they now gobble this stuff up! Now, he is no longer itching, his fur is growing back, and he is happy as ever! I will only feed them Halo now! My cats have been in Whiskas their whole life. I never knew how awful it was until now. I switched to Wellness Core dry and wet food. They love the wet and hate the dry. So I am going to see if I can switch them to the Halo dry food preferably the chicken, I just hope I don’t have to continue to buy dry foods to get the one they like. My question is How does this food look? The Wellness dry is black shiny balls, and it looks/smells gross. Is this food better in that aspect? I have 4 cats, and all 4 of them love the Halo line of foods, I feed them both the dry and wet foods, they do tend to leave the large chunks of carrots and peas behind when eating the wet food though. My oldest cat Nacho had lost some weight and Old Man one of my younger kitties was a little overweight, I started feeding them the Halo food and Nacho gained a few pounds and Old Man has slimmed down some, it seems to have the right balance whether your cat is too fat or too skinny.